Film-Arcade.net: Fantasia 2014: Official Red Band Trailer for Richard Bates Jr's "Suburban Gothic"
Fantasia 2014: Official Red Band Trailer for Richard Bates Jr's "Suburban Gothic"
New Normal Films recently released the official trailer for Richard Bates Jr's (Excision) upcoming horror/comedy "Suburban Gothic", which will be making its world premiere at this year's Fantasia International Film Festival. 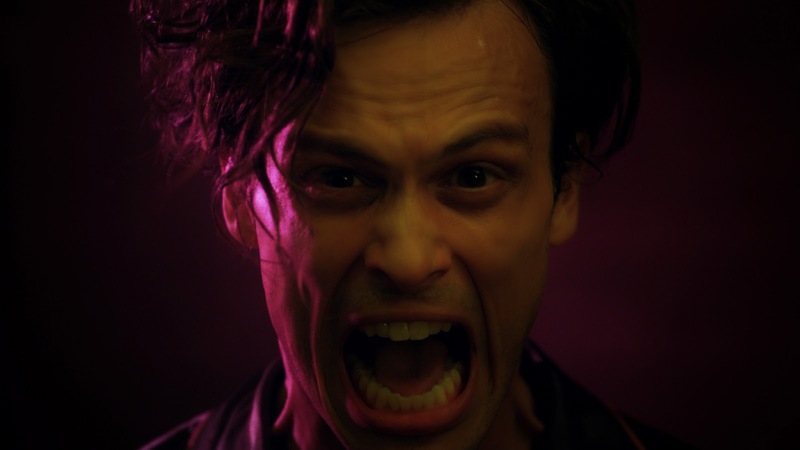 The upcoming film stars Matthew Gray Gubler (Criminal Minds), Kat Dennings (Thor: The Dark World), Barbara Niven, Muse Watson, John Walters and Ray Wise. "Suburban Gothic" will be screening on 7/19 at 9:45 PM at the Concordia Hall Theatre in Montreal QC. No U.S. release date has been announced at this time. Quirky young Raymond (Matthew Gray Gubler, also appearing in this year’s LIFE AFTER BETH) has been having a tough couple of months. Even with his recent college degree, he can’t find work in the big city — and he’s realizing that it’s time to swallow his pride and move back in with his overbearing, suburban parents (Barbara Niven and Ray Wise). Little does he realize, however, that this temporary layover in Middle America is going to be anything but mundane… Haunted by otherworldly visions since childhood, Raymond soon finds himself beset upon by spirits intent on making his time at home as miserable as possible. His only outlet for sanity seems to be local bartender Becca (Kat Dennings, THOR) who, aside from chasing off the same bullies who wanted to beat Raymond up in high school, finds herself drawn to his endearing quirkiness. Together, the duo find themselves unraveling the mystery behind a century-old murder — and scaring up plenty of laughs along the way.